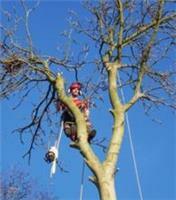 Tom Shaw Tree Surgeon - Tree Surgeon based in Bexhill-on-Sea, East Sussex. I am Tom Shaw Tree Surgeon. I have been working as a tree surgeon since 2008, after spending 10 years working in the outdoor activity industry.I pride myself in offering a friendly and professional service. I can undertake all aspects of tree surgery including hedge work. I provide a tree stump removal service. I have 2 different sized stump grinders to suit any size stump; one is much smaller for those tight access stumps! I am pleased to offer free quotes and advice so contact me if you want to discuss your needs and I'll be happy to help.